If you enjoy dark humor, you may have run across an old saying from the mortuary industry: “A coffin seller never lacks business.” In a less comedic way, the same rationale can be applied to other products that are similarly indispensable to our modern way of life, such as batteries. However, as essential as batteries may be, they generally don’t “sell themselves”. Rather, battery retailers must take strategic sales and marketing measures that position the product to sell well and help the businesses reach revenue targets — and hopefully surpass them. When it comes to selling and marketing batteries, there are several business practices that can help battery retailers achieve success. In this blog entry, we take a look at four of the most applicable of these practices for battery retailers that do business in the U.S. and beyond. Because a municipality is proud of its homegrown, economic success, the place is naturally fond of businesses that quantify that success — a perspective that helps establish a local market for businesses that are firmly headquartered in the locale. Informing customers that they are buying local can only be accomplished with proper labeling. For battery retailers that sell products outside of a local zone, local sales may comprise a slim slice of the revenue pie chart, but selling locally often requires a lower marketing investment than selling batteries in remote places. If its local market has a positive impression of a battery retailer, selling batteries in the area helps create a smooth avenue for generating revenue. Selling batteries locally becomes even easier when the manufacturer takes advantage of local marketing trends. For example, for a battery retailer that’s located in a seaside region, where traveling in marine vessels is a common way of life, it would only make sense for a battery retailer to invest in locally marketing batteries that are designed for various water vehicles. Other local marketing trends that you leveraged to sell more products include: seasonal needs, such as using snowblowing equipment; annual festivities, such as music concerts held in areas that utility lines don’t reach and thus need battery power; and predictable weather that spurs an uptick in using battery-powered devices, such as tropical storms that cause power outages. Would you rather buy a product from a company that designed it or from a vendor that simply sells it? When it comes to brand trust and the perception of quality control, many businesses and consumers prefer to buy straight from the supplier instead of an entity that vends. For retailers, the best way to fully capitalize on these factors is developing a distinguished brand. Distinguishing a brand obviously takes time, money, and marketing insight, but the investment in separating a brand from its competitors can do more than stimulate revenue locally; it can also serve as a springboard for distinguishing the brand across a larger region, as long as the product’s unique value propositions (UVPs) extend beyond the local market to other markets. 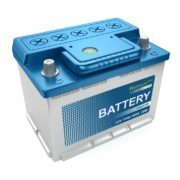 Because batteries are typically marketed as need-based products, the main emphasis of battery labels is to provide information about batteries that helps capture the sale, particularly: battery type, creation and expiration dates, and any application for which the battery is designed. With that said, it’s still important to create packaging whose aesthetic elements make the product stand out on store shelves and the product pages of online stores. An experienced label provider such as Flexo-Graphics can help you kill two birds with one stone: Using packaging that has essential information, and presenting the information in an aesthetically appealing way. Flexo-Graphics is a customer focused provider of product branding and identification solutions, with over 30 years of experience serving battery retailers, beverage makers, automotive companies, industrial outfits, and everything in-between. To inquire about our specialized services, please call us today at (262) 790-2740, or use the contact form on website.